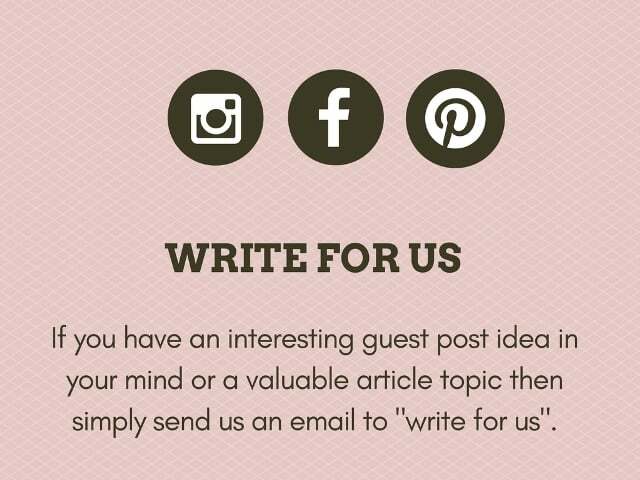 If you have an interesting guest post idea in your mind or a valuable article topic that can engage online audience then simply send us an email to “write for us”. We are accepting guest post that is relevant to our blog’s niche and related to our categories such as Home Improvement/ Home Decor, Business & Finance, Automotive, Lifestyle, Family & Parenting, Travel, News, Fashion, Technology and Frugal Living guest post. If you believe that you can provide an article or a topic that we have missed out then you are welcome to write for us. The guest post that you would like to see live on our blog should be unique. interesting, well-researched and engaging if you want it to get approved by our editor. The article should not be less than 1000 words and we would totally ignore a guest post that will be promotional and it is stretched only to meet the required word count. It should be worth the time of a reader and should be rich with content, facts, figures and interesting details about the topic. We get numerous article/guest post submissions everyday and majority of the articles that we receive are not either top notch or there are plenty of mistakes in them so we have to reject those posts. We require a minimum 1000 word unique, informative and interesting guest post for our Home improvement, DIY, Gardening, Family/Parenting, Lifestyle, Automotive and Technology blog. You may also send few examples of previous written content so that we can get an idea of the quality of articles that your write. An informative and content rich article will have more chances of getting approved as such articles offer value to the readers and attract more visitors. We will not accept promotional posts or product reviews as we charge fee for such posts. Technology guest post, Automotive guest post, Travel guest post, Business guest post, Top Lists, Frugal Living guest post and Lifestyle guest posts. We would appreciate if you could share some topic ideas before submitting your articles as that would save both time and efforts. * UtmostArray reserves the right of declining any article or making necessary changes to the submitted guest posts.